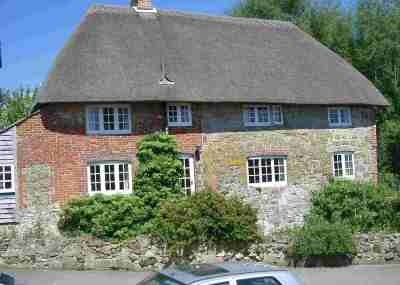 c1400 The timber-framed, thatched house was constructed, probably as an open-hall house with the two end bays built in two stories. unknown A smoke bay was installed, allowing the main first floor area to be constructed. Later a large internal chimney was constructed, and the house was divided into two to become tied cottages accomodating two agricultural workers for the Abergavenny Estate and their families. 1925 The house is mentioned in a prospectus for the Abergavenny Estate, as part of the Upper Nash hamlet within a hamlet, along with Upper and Lower Nash Farms and 92.5 acres of arable land. 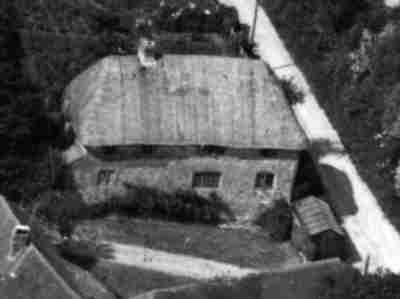 1964-2003 The house was renamed a number of times, at one time or another being known as The Thatched Cottage at Upper Nash, Sparrow Hall, Sparrow Thatch, Shepherd's Cottage before becoming Shepherd's Thatch. The references to sparrows are a tribute to the birds that nested in the thatch before the house was restored. 2010 Discrete wire netting prevents the birds from spoling the thatch of this elegant family home that retains its fifteenth century charm, with evidence of the original timber frame still clearly visible internally. Shepherd's Thatch (then known as The Thatched Cottage at Upper Nash), pictured in the 1960s. Shepherd's Thatch is a fifteenth century timber-framed, thatched house that was built in the early 1400s. It is believed that the original design was as an open hall, with the two end bays built into two stories. before being taken on by the Abergavenny Estate and sub-divided into two tied cottages for agricultural workers. At some stage stone cladding was added to the south wall to protect the timbers from weathering. east end of the house, where there was no ceiling and the underside of the thatch was visible from the ground floor. At the time the cottage had a staircase at either end, with no windows in most of the north side, save at the far west end. As well as the puddles, the unfortunate Mrs. Jane had to contend with the daily chore of removing death watch beetles! features of the timber-framed house. Discrete wire netting has been used to protect the thatch from marauding starlings. far located the well which is shown in the garden on early Ordinance Survey Maps. that is also a practical, modern family home.